Get festival ready in the Single Band Ankle Sandals. 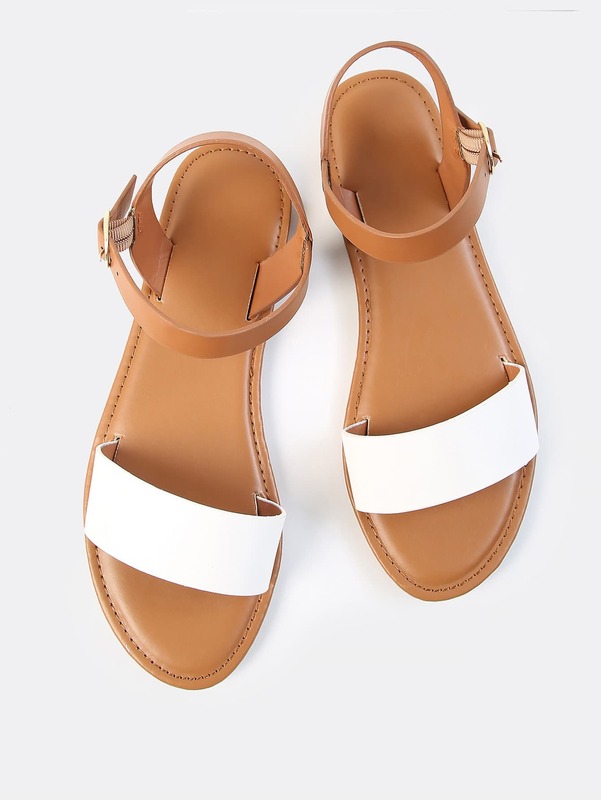 Features a one band ankle strap design with a colorblock look and side buckle closure. Finished with a flat sole. Team it with a white swing dress and brown harness for extra fashion measures.